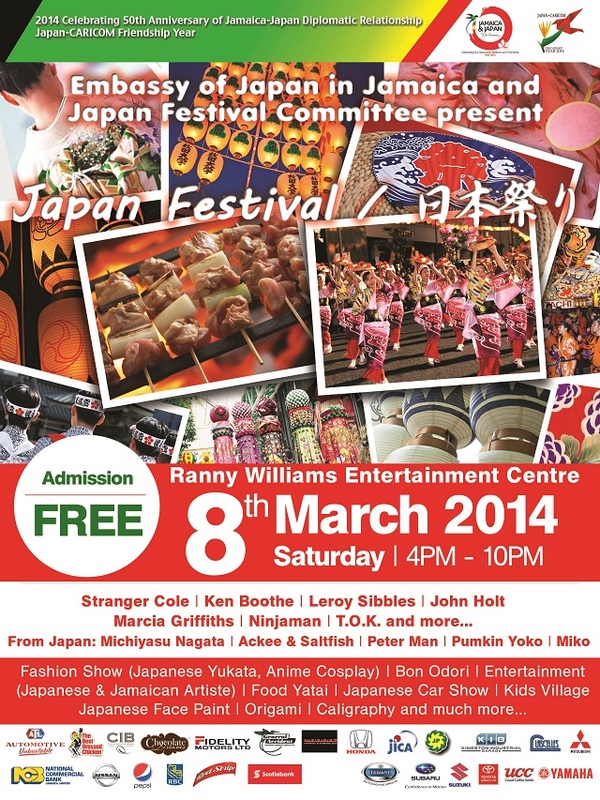 Japan and Jamaica will celebrate 50 years of diplomatic relations and friendship in March .As part of the celebrations, the Embassy of Japan will host the biggest of its yearlong commemorative events the “Nihon Matsuri” Japanese festival at the Ranny Williams Entertainment Centre on March 8, 2014 from 4:00 – 10:00 p.m. This was an excellent event and it was good to see such a huge turnout! Glad the rain stopped and the festivities took place without a hitch!